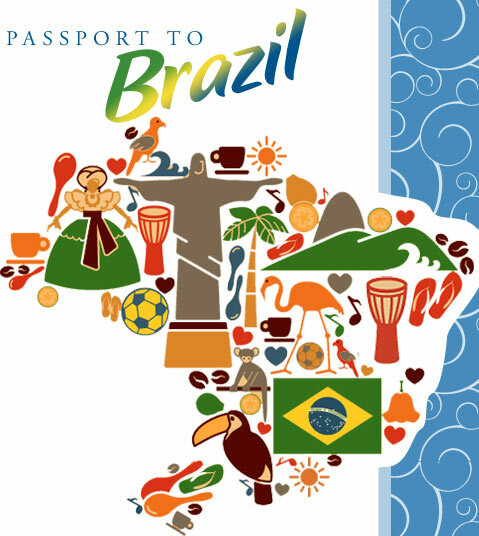 Join ArtStart artists for a whirlwind tour of Brazil, one of the most diverse and beautiful countries in South America. Discover some of the most amazing people and wildlife who inhabit this vast country from the Amazon River basin to the beaches of Rio de Janeiro. Each morning explore the Amazon rainforest known as the “lungs of the earth.” Create a mask with artist Julie Boada inspired by indigenous people who live in the forest, and drawings and paintings of the Amazon river and forest animals with artist Karen Anderson. After lunch head off to Rio de Janeiro and Carneval! First learn the dance of the Carneval, the samba, with dancer Christopher Yaeger. Then create a lavish Carneval headpieces and costumes with artist Tara Fahey and celebrate. All this and more in just 3 days. So grab your passport, creativity and imagination and join the tour! LOCATION: Mount Zion, 1300 Summit Ave. The art of maskmaking, rooted in the traditions of indigenous people who live in the Amazon rainforest region, is fast becoming a lost art. Work with artist Julie Boada to create your own mask inspired by those of indigenous people who still maintain a deep connection to nature. Brazil is home to many different kinds of animals— everything from the three-toed sloth to the squirrel to the poison dart frog! Artist Karen Anderson helps you learn a variety of drawing and painting techniques, as you create your rainforest masterpiece for display in our Art Gallery on Friday. Everyone is dancing to the Latin beat! Join dancer Christopher Yaeger and explore the origins of Latin dance. Then learn dance steps and sequences to the dance of the Carnaval, the samba—and more. The Rio de Janeiro Carnaval in southeastern Brazil is an annual celebration held before Easter. People dress in colorful costumes an balance huge headpieces on their heads as they walk the streets playing music and dancing. Join artist Tara Fahey and make a colorful, amboyant headpiece out of reuse items, feathers, and more, plus a costume to wear in our Carnaval parade.